New York City will always remain a gastronomic capital in the United States thanks to the plethora of choices available at our disposal. This month we explored haute French cuisine, fine Japanese, and contemporary fusion Chinese to give you a flavor or what’s hot in NYC’s dynamic dining scene. Hidden inside downtown’s Francocentric Le District is the Michelin starred gem, L’Appart. Designed like a chic Parisian atelier, this elegant restaurant serves sublime haute French cuisine with the personal experience of an intimate 28 seat dinner party at a star chef’s apartment. Sumptuous banquettes and upholstered walls create an elegant ambiance accented warmly lit by the statement chandelier with views of the open kitchen. The best way to experience this 12 course gastronomic tasting menu is with the wine pairing which is personally selected from the owner’s cellars with rare imported Old World wines. Starting with the amuse bouche, every course is beautifully presented as a work of art. Bite sized delicacies such as ora king salmon with sweet potato and passion fruit, oysters with caviar and king crab with vodka and tomato whet the palette. Like any journey, the tasting moves to a crescendo with the truffle with maple and onion followed by the wagyu with hakurei turnips and nori or the pasta with truffle and sunchoke and sea bass with carrot and grapefruit. To enjoy a decadent experience, choose the optional caviar service and end with a trio of cheese pairings. 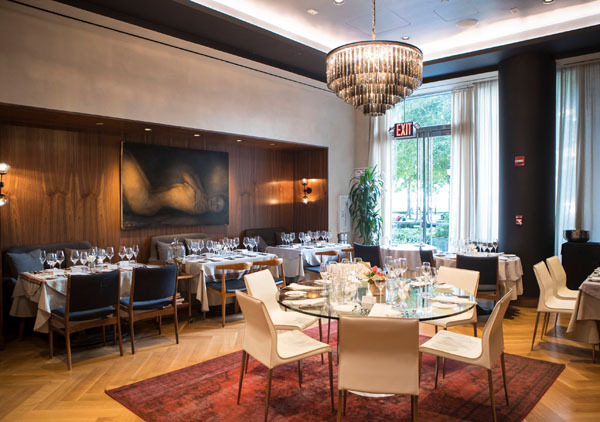 As the menu changes monthly, dining at L’Appart is embarking on an unforgettable experience. 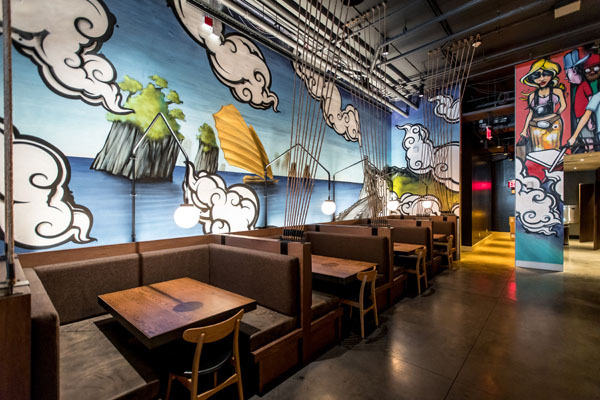 Named after the famous Japanese movie actor, Toshiro Mifune, MIFUNE New York is a new Midtown East restaurant fueled by a Michelin starred cast of top young chefs. 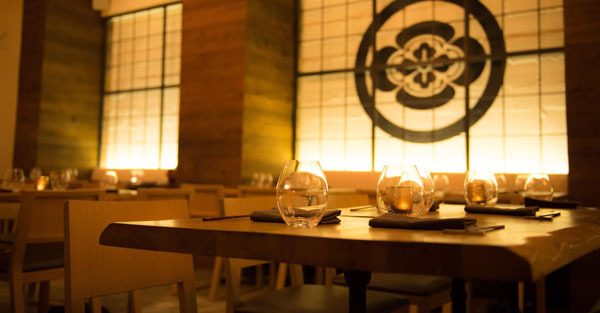 The elegant bi-level space sports a sleek sand-and-stone palette for a clean sophisticated atmosphere from which to enjoy their curated tasting menus of intricate sushi, seafood, Wagyu beef and other Japanese delicacies. Dine inside the minimalistic dining room or at the sushi bar to watch the masters at work. Depending on your appetite choose between the 5 or the 8 course tasting menu. The 8-course chef’s tasting menu will guide you on a journey to discover new tastes, new textures and new presentations guaranteed to delight all your senses. With offerings such as sea urchin cold egg custard ponzu jelly, smoked butter fish with garlic green leaf yuzu sauce, broiled shrimp with caviar and foie gras egg rice, the tasting course is the ideal choice for a unique experience. As for the presentation, MIFUNE New York creates contemporary gems utilizing the elements such as a wooden boxes to encase delicate pieces of sashimi surrounded by petite accents of color from flowers and other garnishes. The a la carte menu also has appetizer and entrée options for a more simple dining experience to satisfy your taste buds. The broiled shrimp with caviar and smoked butter fish is always a good choice or the smoked straw lamb chop is perfect for warming the heart.